1" ID x 1.290" OD Wire Reinforced PVC Tubing | U.S. Plastic Corp. 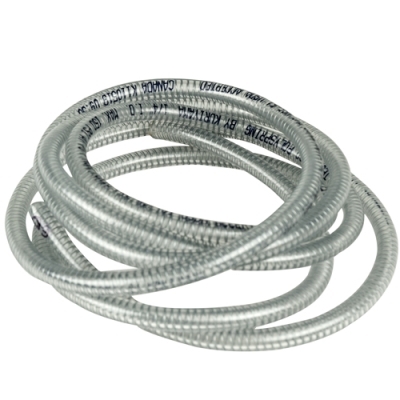 This PVC hose has a wire reinforcement incorporated within the wall and a clear mirror-smooth surface that provides visual flow and reduces material buildup. Use for food, beverage lines, chemical transfer, coolant lines and water feeds. Clear glass-smooth surface provides visual flow. Min. bend radius: 4" @ 70°F.